It's already Thursday which means it's time for some blog hopping, photo editing fun. When no one votes I pick out my favorite edit. Last week I loved the Moments in Between edit. Beautiful composition and edit! I have used several photos from this session for the blog hop. Only because I love playing with the photos from this session and I keep going back to it. I used a 5D Mark II, 50 mm 1.2, and edited with CS4. I used actions from Jesh de Rox colorshift action set. Stunning photo and I love the edit! Very cool shot! I love the background, and her posing :) Thanks for sharing it! I love the color pop and that barn!! 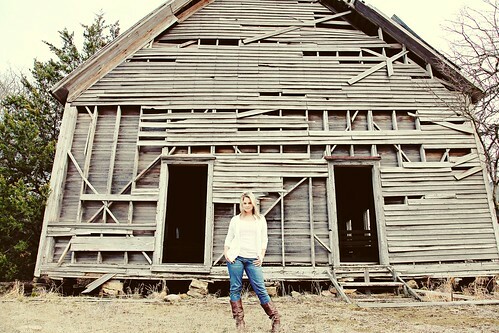 Love that high contrast boost and the old barn was a great choice for the background. this is one of my favorite pictures of yours! amazing!!! Nice edit, I'll have to go check that action set out. This is a great edit. I am not too familiar with using actions and textures and such. I hope to learn more about them this year. Just found your lovely blog and linked up for the first time! Thanks for hosting! I vote for Amber's Articles.